Since world-famous magician, escape artist, and spiritualist nemesis Harry Houdini died on Halloween 1926, magicians and admirers have held séances on each anniversary of his death, attempting to contact his spirit. The first were held by his wife Beatrice (“Bess”), but—except for a separate hoax claim otherwise in 1928 by medium/charlatan Arthur Ford—Houdini was always a no-show. Others continued the tradition after Bess’s last séance in 1936. This Halloween—the 92nd such remembrance—was no exception, with at least three Houdini séances being held.  At least one other—certainly the most modest of all—was my own, held at CFI. My first Houdini séance took place in Toronto in 1969 when I hired a spiritualist medium for the purpose on behalf of a Canadian Broadcast Corporation (CBC) radio special, “Houdini in Canada,” of which I was a freelance co-producer. The medium channeled what he purported to be the spirit of Houdini, but I concluded that only the gullible would be fooled and determined that he never actually came. 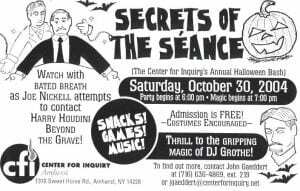 After I joined CFI full time in 1995, I began to hold a Houdini Séance each Halloween (see ad). Originally these were entertaining productions, sometimes at conferences, but of late they have been quiet, individual meditations. I have had a life-long affection for Houdini, from my boyhood, when I would have my young friends tie me up, to my three-year stint as Resident Magician at the Houdini Magical Hall of Fame in Niagara Falls, Canada (1970-72). There I entertained museumgoers, creating and “pitching” a Houdini Magic Kit, and occasionally escaping from a straitjacket or doing some other act. The museum burned in 1995, but David Copperfield obtained the salvaged and restored Houdini water torture cell at auction in 2004; he kindly showed it to me at his fabulous private museum in Las Vegas in 2010. It was like seeing an old friend. I have continued to honor Houdini’s life through my writings, my own investigations of spirit claims, and, of course, the séances. He’s never returned, but, with Houdini and I being of like mind on the subject of spirits returning, I have not been surprised.